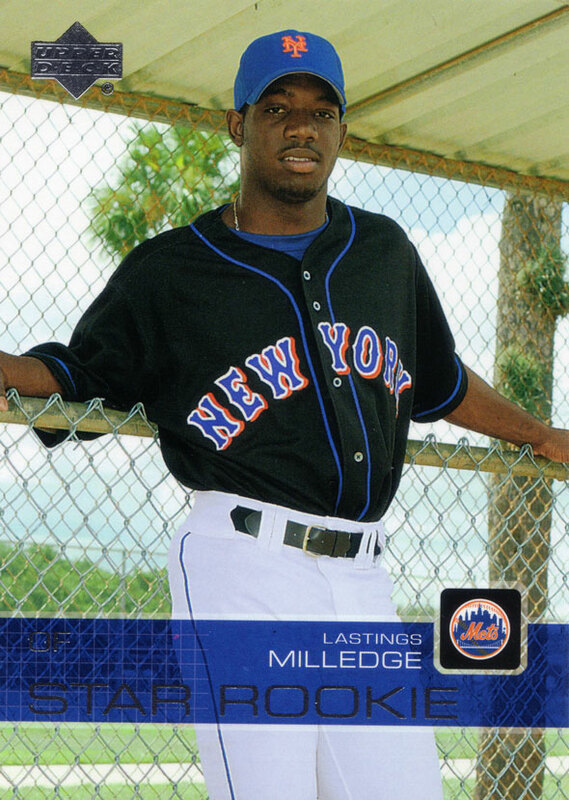 Lastings Milledge's true rookie card: Issued by Upper Deck in 2003, a year before any other of his cards would appear. The image is of Lastings in his 1st round draftee attire (12th overall). The back claims that he "may be roaming the outfield sooner than later at Shea Stadium." "He is bound to develop quickly." We all know how that panned out, thusfar. Injury plauged much?